Bend with your knees, not with your . . . ouch! The next Academic Senate meeting will be Monday, Aug. 27 at 3 p.m. in the Moot Courtroom of the College of Law. Senate meetings are open to the public. The agenda will be posted approximately one week before at utah.instructure.com/courses/51590/modules. Daniel A. Reed, Ph.D., has been named senior vice president for academic affairs at the University of Utah. 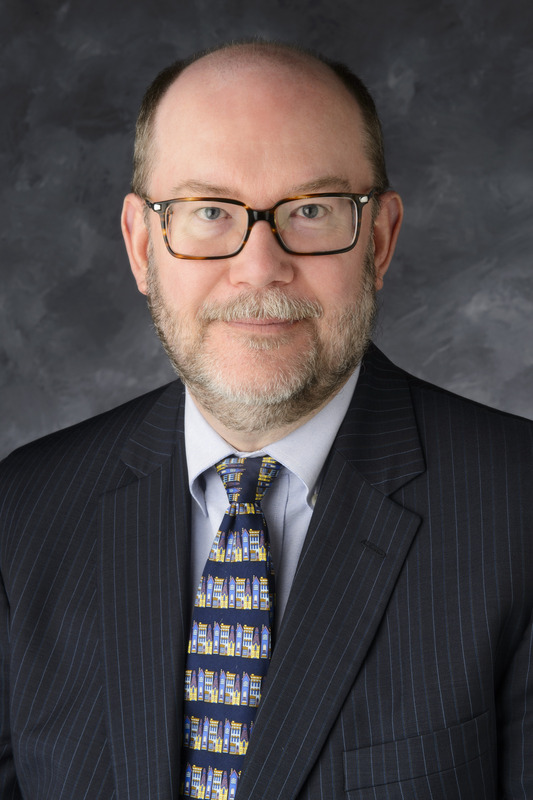 Reed, who currently serves on the faculty at the University of Iowa, will start on July 1. 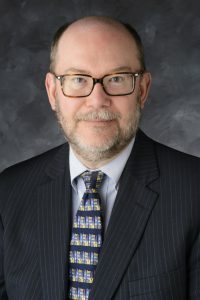 At Iowa, Reed holds the university’s computational science and bioinformatics chair and is a professor of computer science, electrical and computer engineering and medicine. From 2012 through 2017, he served as the school’s vice president for research and economic development. Reed is a former corporate vice president and technology policy leader at Microsoft, the founding director of the Renaissance Computing Institute at the University of North Carolina at Chapel Hill and was the director of the National Center for Supercomputing Applications at the University of Illinois. 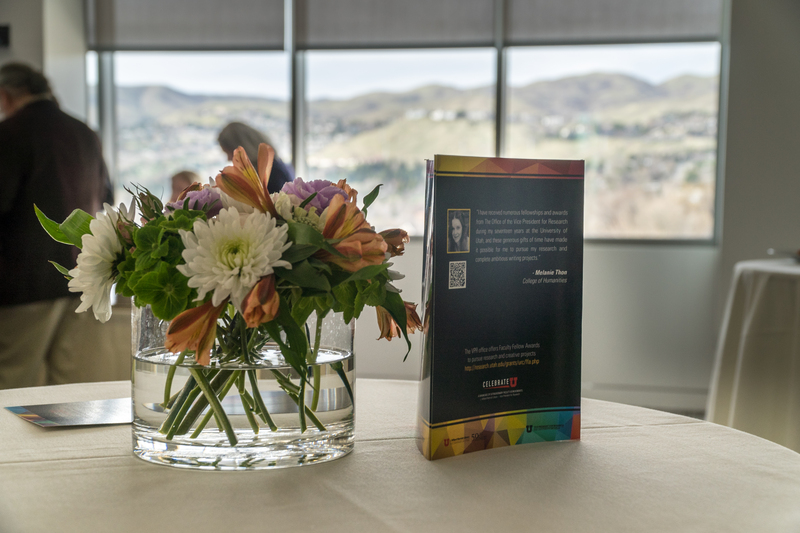 The J. Willard Marriott Library and the Office of the Vice President for Research hosted the third annual “Celebrate U” event on April 4 to acknowledge faculty members for extraordinary work produced in 2017. Those honored were selected from three categories: book authored, creative work and research. Click here to read the list of this year’s honorees. John A. Moran Eye Center surgeon and researcher Mary Elizabeth Hartnett, M.D., received the Association for Research in Vision and Ophthalmology (ARVO) Mildred Weisenfeld Award in April 2018. The honor recognizes distinguished scholarly contributions to the clinical practice of ophthalmology in memory of Weisenfeld, who suffered from retinitis pigmentosa and founded the Fight for Sight charity in 1946 to fund eye and vision research. A skilled pediatric vitreoretinal surgeon who directs Moran’s Pediatric Retina Center and a prolific researcher, Hartnett’s National Institutes of Health-funded research lab studies the mechanisms of normal and aberrant blood vessel formation in the eye. Her work has led to major breakthroughs in our understanding of retinopathy of Prematurity, the leading cause of childhood blindness worldwide; age-related macular degeneration, a leading cause of vision loss in the U.S. among adults that attacks central vision; and diabetic eye disease, which can affect multiple parts of the eye and is on the rise along with the rate of diabetes. Hartnett has also been appointed the newmedical director for Women’s Eye Health, an organization that formed 16 years ago in response to the reality that two-thirds of the world’s population of blind and visually impaired persons are women. Read more here. John A. Moran Eye Center Senior Vice Chair, John A. Moran Presidential Professor, and John E. and Marva M. Warnock Presidential Endowed Chair Alan S. Crandall, M.D., received the American Society of Refractive Surgery (ASCRS) Foundation’s inaugural Chang Humanitarian Award in April, 2018. Crandall is the only physician to receive four humanitarian awards from three major ophthalmology organizations, including the American Glaucoma Society Humanitarian Award; the American Academy of Ophthalmology Humanitarian Award; and the ASCRS Humanitarian Award. Crandall is the founder and senior medical director of Moran’s Global Outreach Division, which works to eliminate curable blindness in developing countries by sustainably expanding access to eye care. 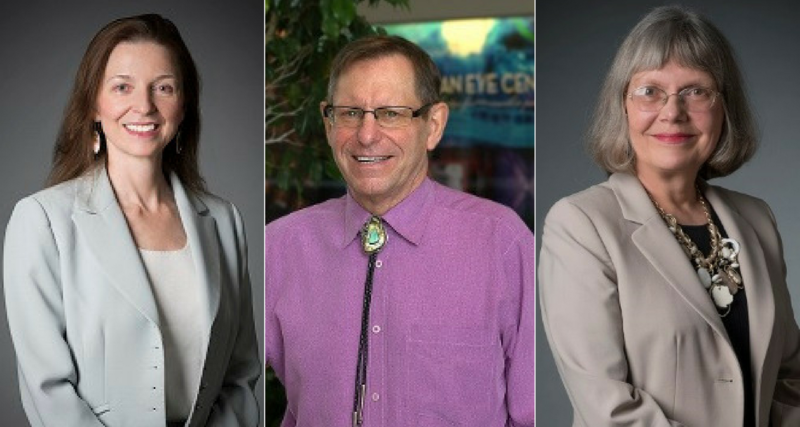 In Utah, the division provides charitable eye care and surgeries through twice-yearly free surgery days, regular trips to the remote Navajo Nation, and numerous programs that serve uninsured and low-income populations. The ASCRS Foundation gave a $50,000 grant associated with the award to the division in honor of Crandall. Read more here. John A. Moran Eye Center physician and renowned neuro-ophthalmologist Kathleen B. Digre, M.D., was appointed the rank of University of Utah distinguished professor in May, 2018.The honor is reserved for individuals whose achievements exemplify the highest goals of scholarship, demonstrated by recognition accorded to them from peers with national and international stature and whose record includes evidence of a high dedication to teaching as demonstrated by recognition accorded to them by students and/or colleagues. Digre is a professor of neurology and ophthalmology as well as an adjunct professor of obstetrics and gynecology and an adjunct professor of anesthesia. She founded Moran’s neuro-ophthalmology service and directs the Division of Neuro-ophthalmology and Headache at the University of Utah. Digre started the University of Utah Headache Clinic, which created a care pathway to improve headache treatment and streamline access for patients. She also founded and directs the Center of Excellence in Women’s Health, a multidisciplinary group focused on enhancing overall health and wellness for women. Her research focuses on clinical disorders in neuro-ophthalmology and headache. Digre was also awarded Honorary Doctor of the University of Zurich in April, 2018, for her outstanding contributions to the understanding of ophthalmology, neurology, gynecology, and anesthesiology. Read more here. East coast native Abigail Curran is settling in as chief operating officer at the Natural History Museum of Utah, a new position within the museum’s existing management team. Curran earned her MBA with an emphasis in operations from Brigham Young University and since then has garnered diverse experience from global companies Dell EMC, Cummins and Apple. 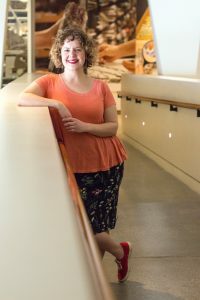 “We look forward to working with Abby and are encouraged by her enthusiastic attention to detail as well as her desire to work collaboratively with staff and management to enhance the day-to-day workings of the museum and keep operations running smoothly,” said NHMU Executive Director Sarah George. In her new role as COO, Curran will be wearing several hats as she leads multiple departments in their efforts to ensure quality customer service, train and oversee personnel, generate revenue, implement sales strategies, work with the advisory board and support additional museum-wide goals. “My hope for operations is for everything to flow seamlessly, to go virtually unnoticed, so the customer experience takes center stage,” said Curran. Prior to joining NHMU, Curran assisted team members in their rise to leadership positions at Apple, inspired improved gender diversity goals and strategies at Dell EMC and worked to improve logistic efficiencies at Cummins in the U.S.
Curran grew up in the Washington, D.C., area, loved spending time at the Smithsonian museums and discovered she will always be a city girl at heart. An avid traveler, both domestic and abroad, she speaks Russian and French and after completing eight marathons has no immediate plans to hang up her running shoes. 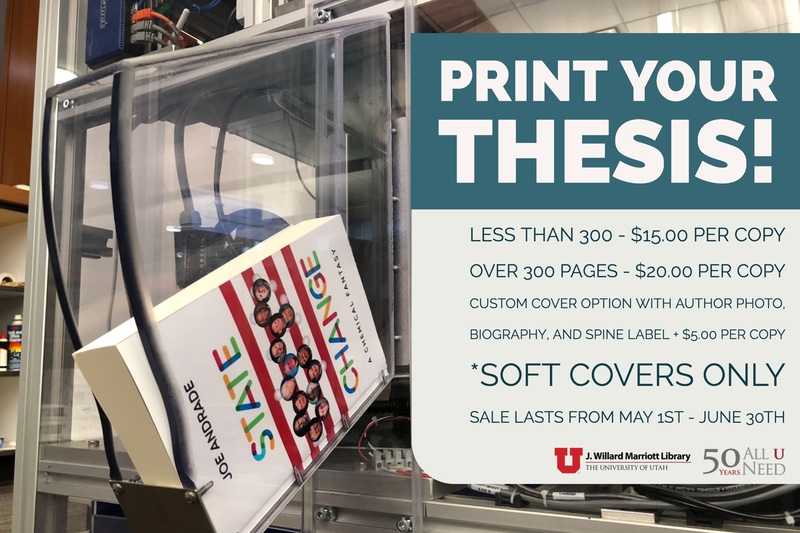 To celebrate the hard work of University of Utah graduating students, we are offering special pricing on any thesis or dissertation, printed and bound on the Espresso Book Machine for just $15 per copy. This special runs exclusively in May and June. 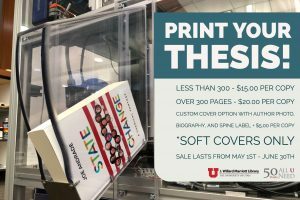 Contact the Reserve Desk at 801-581-8203 or mlib-reserve@lists.utah.edu with questions. Despite all the warnings, at some point, we’ve all lifted something heavy — using our backs instead of our legs — in a twisted, jerking motion. Our bodies will pay for it for a few days. But for many, that sort of debilitating pain is an everyday occurrence with no end in sight. Chronic pain is one of the leading causes of disability and reduced quality of life in the U.S., affecting over 100 million Americans and costing nearly $600 billion annually, according to a 2017 report by the Health and Medicine Division of the National Academies. Existing treatment options for chronic pain are insufficient, and as a result, 5 million to 8 million people with chronic pain are treated with opioids, as stated by the U.S. Department of Health and Human Services in 2017. Chronic lower back pain in particular is the No. 1 non-cancerous pain for which opioids are prescribed. Current evidence for the long-term effectiveness of opioids is lacking, and there is considerable growing concern about side effects such as worsened mental health, potential for addiction, and accidental overdose. Many people taking opioids for chronic pain also report that their pain and ability to carry out daily activities are not sufficiently improved. So, what are these individuals to do? 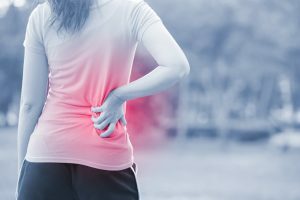 Researchers at the University of Utah are currently exploring two Strategies to Assist with Management of Pain (STAMP). The goal of the STAMP study is to offer people with opioid-treated chronic lower back pain one of two safe, non-medication supplementary treatments: Mindfulness Meditation (MM) or Cognitive Behavioral Therapy (CBT), both of which have been tailored specifically for patients with chronic back pain. Participants in the STAMP study are trained in these techniques while continuing with their usual medical care. Both MM and CBT have strong research support for the treatment of chronic pain. The goal of the study is to find out which treatment is most beneficial to patients for long-term pain management. Social workers and other clinicians who are interested in this study for their patients with opioid-treated chronic lower back pain can learn about this study at stampstudy.org. With this research, we hope to pave the way for more readily available treatment options to safely reduce the suffering of people experiencing chronic lower back pain. Did you know the University of Utah has access to car rental companies using state-negotiated contracts? Contracts are available with Hertz, National and Enterprise. Travelers or drivers who use these agencies while traveling on University of Utah business need not purchase extra insurance or pay U internal fees. However, insurance must be purchased for 1) vehicles larger than a minivan, 2) when renting outside the state contracts or 3) renting in a foreign country. 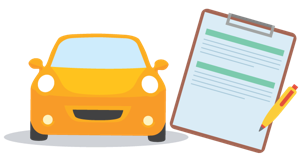 Instructions for renting vehicles can be found at Risk & Insurance Services. On July 17, 2018, Duo phone call and text message options for two-factor authentication (2FA) will be discontinued. Users need to select another method for Duo 2FA to log in to the majority of university applications after July 17. The Strategic Information Technology Committee approved this decision for a number of reasons – most importantly, recent industry guidance and practice has indicated that phone calls and text messages are vulnerable and not considered secure methods of authentication. There is also a significant cost associated with providing these authentication methods. The phone call option was intended to be a backup or emergency method for using Duo, yet for many it has become their primary method. The new backup option for Duo authentication will now be completed through the central university help desks (contact information below). Visit the 2FA webpage, Duo 2FA overview article, and Duo tutorial video found in Pulse (U Health) or Bridge (campus) for more information. If you have questions, contact the UIT Help Desk (801-581-4000, option 1) or ITS Service Desk (801-587-6000) for assistance. The University of Utah Veterans Day Committee honors veterans each year based on their honor, courage, commitment and sacrifice during their military service to our nation. Nominations for this year’s ceremony are due by July 31, 2018. For more information or to nominate a veteran to be honored, go to veteransday.utah.edu or call 801-587-7722.